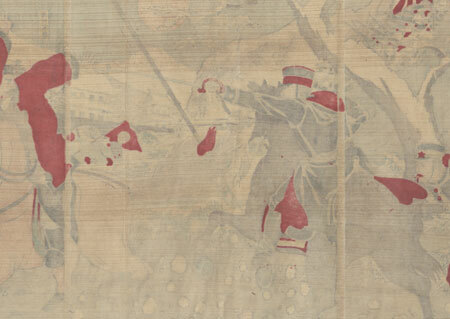 Comments - Dramatic battle scene from the Sino-Japanese War of the Japanese First Army attacking Fengtianfu. 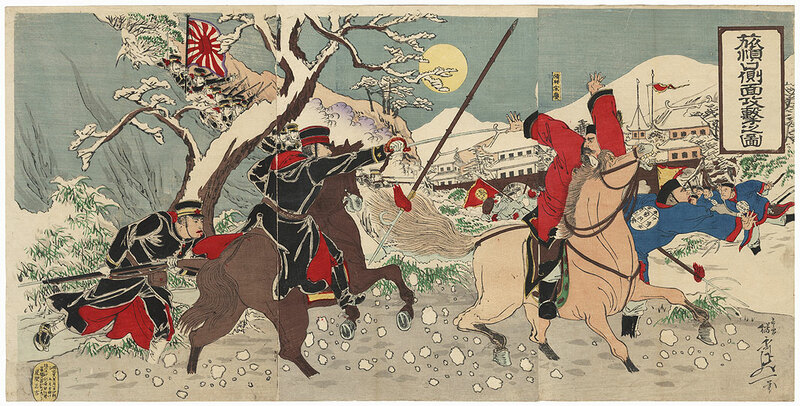 In the center, a Japanese officer on horseback pursues a mounted Chinese warrior, striking the pole arm from his hand with his sword, their horses' hooves kicking up clumps of snow as they ride. Another Chinese man attempts to flee at right, running from his attacker. 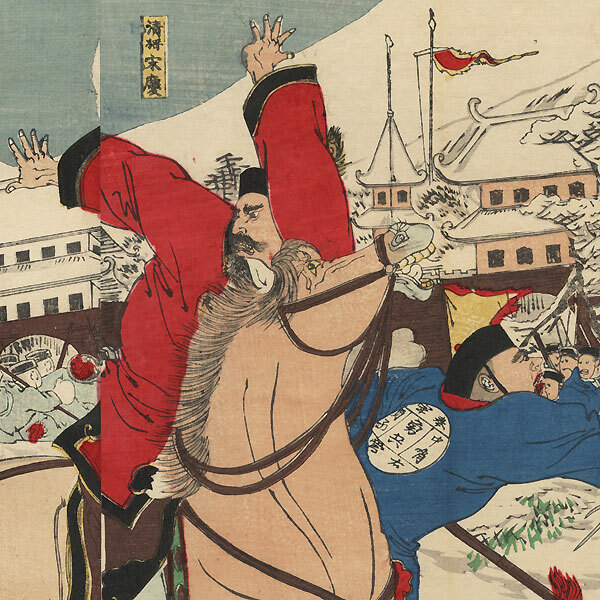 A diagonal line of Japanese troops can be seen along the hillside at left, firing into the frightened Chinese soldiers outside a large palace complex. A pale yellow full moon glows in the wintry gray sky above distant mountains. A lively design, nicely composed and detailed. Condition - This print with excellent color and detail as shown. Three attached panels, backed with paper. Slight soiling, a few small creases and small marks, slight rubbing at edges, stain. Please note: due to the size, this print may be shipped rolled. Good overall.